Zero Debt, Break the debt cycle and reclaim your life is wonderfully simple and simply wonderful book by Neeraj Deginal. This is the real life story of a man who was crushed under endless EMIs. It narrates us how he was neck deep in debts and how he came out of it to become cent percent debt free. I am sure most of us, who bought a home to save tax, bought second home as an investment, purchased a car because it was on EMIs and are left with paltry salary after all the deductions, will be able to relate to his case. The book states how real estate investment is not always a profitable proposition. The author has incurred losses in all his real estate investments. ‘Buying was always easy; however it is very difficult to sell a real estate property.’ He says. 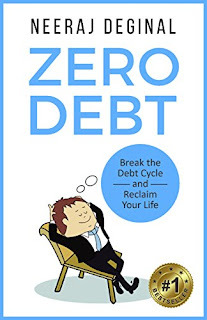 So if are struggling on the financial front this book could be your saviour. 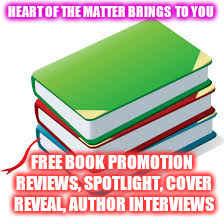 Mahesh Sowani is a writer, poet, book reviewer, speaker and a legal professional. He holds masters degrees in Law and Management. He has also passed the National Eligibility test conducted by the University Grants Commission. He was a faculty member for Master of Laws course at University of Mumbai. He has keen interest in yoga, meditation, English literature and financial management. Many of his writings have been published in leading English and Marathi publications like Hindustan Times, Outlook Traveller,Writer's enzine, Sniffers, Reviews, Maharashtra Times, Yuva Sakaal, Kalnirnay etc. His writings have been published on websites like adviceadda.com. 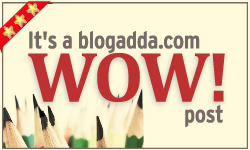 He writes on his blog https://maheshsowani.blogspot.in Many of his writings have been conferred titles and prizes by blogadda.com, indiblogger.in and mouthshut.com. His writings have been a part of the short story anthology "Love stories around us" and collection of poems "Winged Hearts."